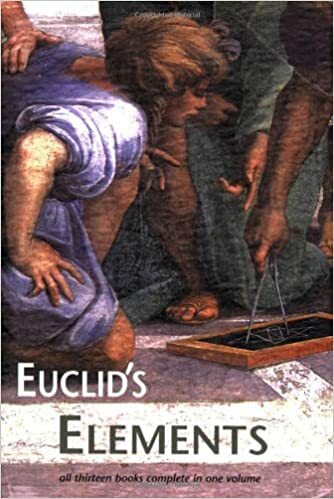 Euclid (c. 325 BC – 265 BC) – Greek Mathematician considered the “Father of Geometry”. His textbook ‘Elements’ remained a highly influential mathematics teaching book until the late 19th Century and is one of the most widely published books in the world. It has had a lasting influence on the sciences -, especially in mathematics. In a list by Michael H. Hast – Euclid is considered to be 14th most influential person in history. 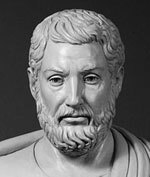 Euclid was born in the mid 4th Century BC and lived in Alexandria; he was mostly active during the reign of Ptolemy I (323-283BC) His name Euclid means “renowned, glorious” – he is also referred to as Euclid of Alexandria. It is likely Euclid worked with a team of mathematics in Alexandria and he received a degree of help in his mathematical works. 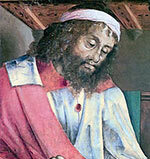 Some historians feel the works of Euclid may have been the result of several authors, but most agree that one person – Euclid – was the principal author. It is likely that Euclid would have studied at Plato’s Academy in Athens and much of his initial knowledge would have come from this Plato perspective. In particular, Euclid would have learnt much geometry from Eudoxus. 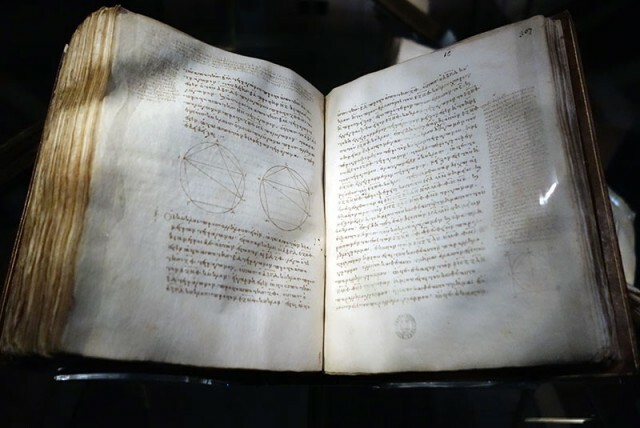 Although little is known for certain about Euclid’s personal life, his main book ‘The Elements’ (originally written in ancient Greek) became a standard work of important mathematical teachings. It is divided into 13 books. Books one to six deal with plane geometry. Books eleven to thirteen deal with three-dimensional geometry. 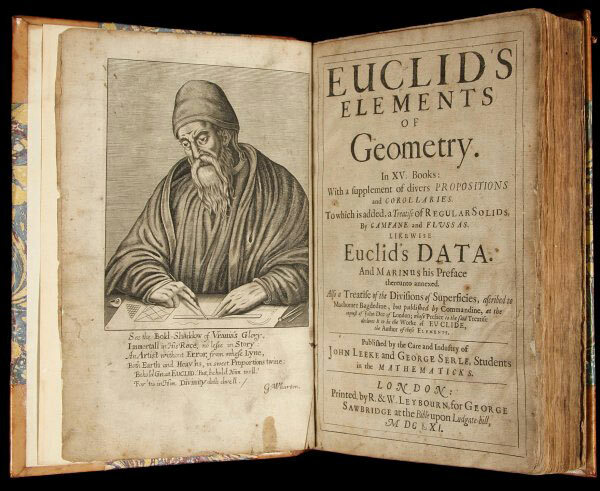 Euclid’s genius was to take the many different diverse elements of mathematical ideas in circulation and combine into one logical, coherent format. Euclid’s lemma – which states a fundamental property of prime numbers is that – If a prime divides the product of two numbers, it must divide at least one of those numbers. The fundamental theorem of arithmetic or the unique-prime-factorization theorem. Using Euclid’s lemma, this theorem states that every integer greater than one is either itself a prime or the product of prime numbers and that there is a definite order to primes. Euclidean algorithm – an efficient method for computing the greatest common divisor (GCD) of two numbers, the largest number that divides both of them without leaving a remainder. Geometry. Euclid described a system of geometry concerned with shape, and relative positions and properties of space. It was Euclid who put geometry into axiomatic forms (logically derived theorems) His work is known as Euclidean geometry. It is sometimes said that, next to the Bible, the “Elements” may be the most translated, published, and studied of all the books produced in the Western world. Some have stated that ‘The Elements‘ by Euclid may be the second most published, translated and studied of all books, after the Bible. Apart from the influential Elements, Euclid investigated other branches of mathematics. Optics – Euclid investigated the apparent size of an object compared to its distance from the eye. Proposition 45 stated that for objects of any two unequal sizes, there is a point from which the two appear equal. Division of Figures – dividing figures into more constituent parts. Data – Looking at the given information from geometrical problems. Citation: Pettinger, Tejvan. “Biography of Euclid”, Oxford, UK. www.biographyonline.net Published 24 March 2015. Last updated 8 March 2018.
not alot known about his early life but i guess its good.